What do you do when you hear your teenager say, “I’m bored”? I’ve done everything to survive summers as a mom. When they were little, I took them to a playroom in a cafe while enjoying refillable drinks and air conditioning. Bliss. Or to “rec centers,” which have an endless array of affordable camps that run kids around and tire them out so afternoon nap time and early bed is feasible. As they got older, they could manage boredom a bit better. A week of sleeping in, reading a book, and having a sleepover was offset with VBS or a family camping trip. They acquired the ability to anticipate and it staved off some of the insanity. And then they turned fourteen. Fourteen-year-olds do not go to VBS, unless as volunteers. Few of them still want to wake at 6 a.m. for the neighborhood swim team. Unless they are entrepreneurs and start their own lawn service or babysitting racket, they are too young to get a job. They are old enough to leave alone if mom and dad work, but perhaps too young to leave alone with a friend. In fact, too much alone time and boredom put teens at risk. According to Psychology Today, extended teenage boredom can actually cause emotional distress such as depression, anxiety, and loneliness. If unaddressed, boredom can translate into escape (e.g. Xbox), risk taking (this looks an awful lot like trouble making), rebellion (such as illegal substances), or apathy (lack of exercise and excessive eating). Even if the worst our teens do is watch an inordinate amount of Psyche episodes, they miss out on many life-giving and life-forming opportunities if they spend the summer lounging at home or poolside. Knowing this, the summer our son turned 14, we searched for alternatives to keep him busy and shape his future. He had been 14 for mere days when we sent him to serve for five weeks at a Christian camp. Months before, he did a phone interview (his first), filled out an application (his first) and was accepted, so it was truly an honor to go. But he didn’t know a soul and was ending his tenure as camper to work behind the scenes (his first assignment was bathroom duty!). It was a rough goodbye. When he developed strep throat in week two, we seriously wondered if it was legit or a hefty case of homesickness. For five weeks, we barely talked to him. Once a week, the workers took turns calling home and we had three minutes to hear his voice. Each time he asked us to send food. Were they feeding him? We were paying for him to be there (an irony of summer work crew) and at times it sounded like boot camp! And then we picked him up. At least, it looked like him. But he didn’t sound like our son. This boy didn’t act like the newly turned 14-year-old we had left behind five weeks earlier. As we sat in the final ceremony, listened to the counselors talk about our kids, and worshiped alongside our son, we saw the enormous gift we had stumbled upon in sending him away. They learn how to work for a boss. Work crew is ground zero for learning how to follow a job description, answer to a superior, and produce quality results. Sure, we’ve been trying to teach this to them for years through chores and study habits, but this is the incubator. Another adult is calling the shots and expecting them to perform certain functions. What amazing experience for their first real, paid job! They are surrounded by cool, strong believers. Work crew are often discipled and led by counselors who are college students. 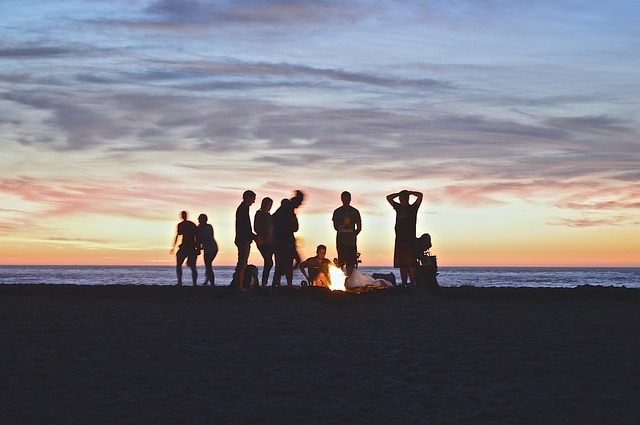 Imagine your kid spending a summer with older Christian teens who are experiencing all the same challenges in school and trying to love God and follow him in the midst of it. As a result, they have a barometer of the kind of people they want to spend time with when they return home. They grow in leaps and bounds in their faith, character, and maturity. Work crew is a time to serve campers, but also grow spiritually. Most Christian camps recognize this group of youth as their second tier ministry: disciple the next generation of spiritual leaders. They learn how to walk with God on their own and how to have integrity in their relationships and work habits. Again, think incubator-type growth! They become more independent. At 14, crew kids are entering high school, soon to drive and to spend more and more time away from home. Our job as parents is to help them succeed without being there at every turn. Work crew is a safe launch pad for a new level of independence: they are separate from us as parents, but not separate from trustworthy, involved adults. They have a blast. Kiss boredom goodbye. Cleaning toilets is followed by pranks in kayaks and midnight hikes to the cross. Bonding trumps uncomfortable cots and friendships are forged in events, such as Scottish Highlander Games (with table-cloth kilts of course!). No time for escape or rebellion here. We sent our son the following year as well. He was 15: still too young to drive or have a real job. We paid again for him to have more discipleship, more growth in serving, more experience working, and more fun without the Xbox. Our daughter is next. She can’t wait to go work for five weeks and carry on the sibling tradition. Sometimes the best thing we can do for our kids is send them away. For us, this went beyond mere survival and became one of our greatest gifts. I like this! I live oversees where everyone leaves for the summer and friends are scarce during the school year too. I put my 12 year old (who is also 5’10”) on a plane to spend a week at camp as a camper, attend a family reunion, go camping with family, and go to a youth group retreat. He will be with cousins and grandparents he loves the whole time and is loving it this far. He will be gone 1 month total. I appreciate what you wrote, as I need healthy options to consider for the future too!